TIP LOT HOME W/CANAL BASIN VIEW!! 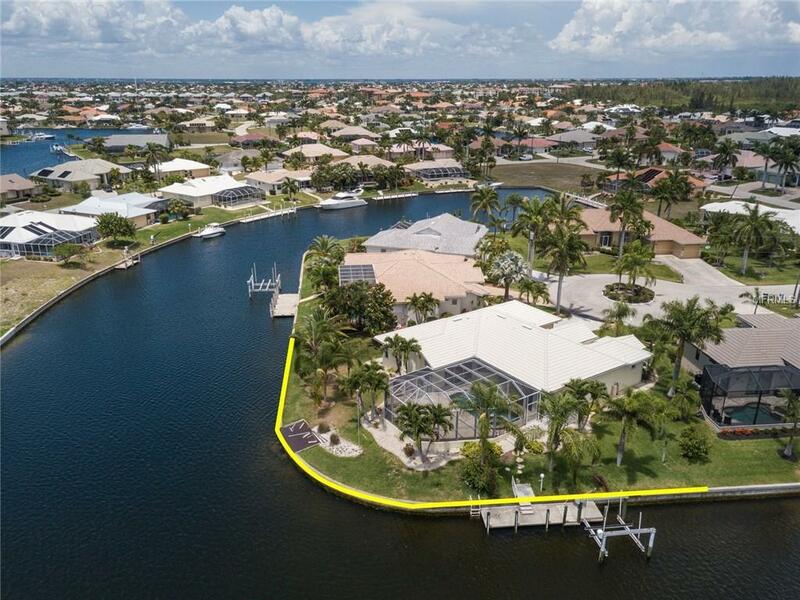 Custom, 3 bed/2 bath, waterfront home in Punta Gorda Isles on tip lot w/175 ft of seawall, beautiful view & sailboat access Charlotte Harbor. The home features a formal living room & dining room plus a separate family room w/lots of natural light throughout & almost every room featuring a pool and/or water view. Architectural details include cathedral ceilings, porcelain floors in living room, dining room, kitchen, bathrooms & all hallways, transom windows, decorative plant shelves & display cut-outs plus a gourmet kitchen. The large kitchen offers granite counters, ample cabinet & counter space including a breakfast bar & built-in recipe desk plus an adjacent breakfast area w/wet bar that is perfect for entertaining. The master suite has walk-out access to the lanai, two walk-in closets & updated master bath. The master bath has split sinks, a WC & tiled walk-in shower. The split bedroom floor plan features large guest rooms that share an updated guest bath. Outside, the lanai boasts a brick paver deck w/in-ground, heated pool w/attached spa. 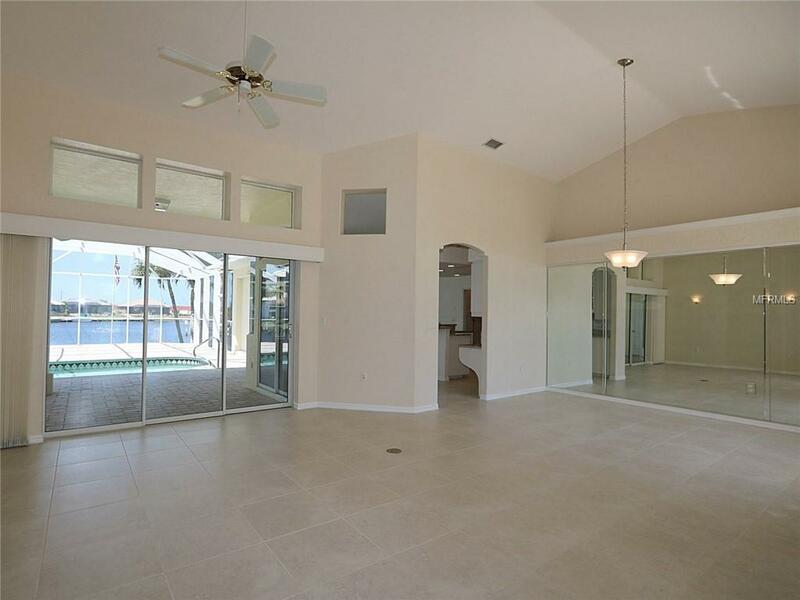 Large lanai offers plenty of shaded & sunny areas. Brick pavers extend out toward dock w/4.5in risers & handrails for easy accessibility. Concrete dock has 12,000 lb boat lift w/water & electric hook-ups available dockside. 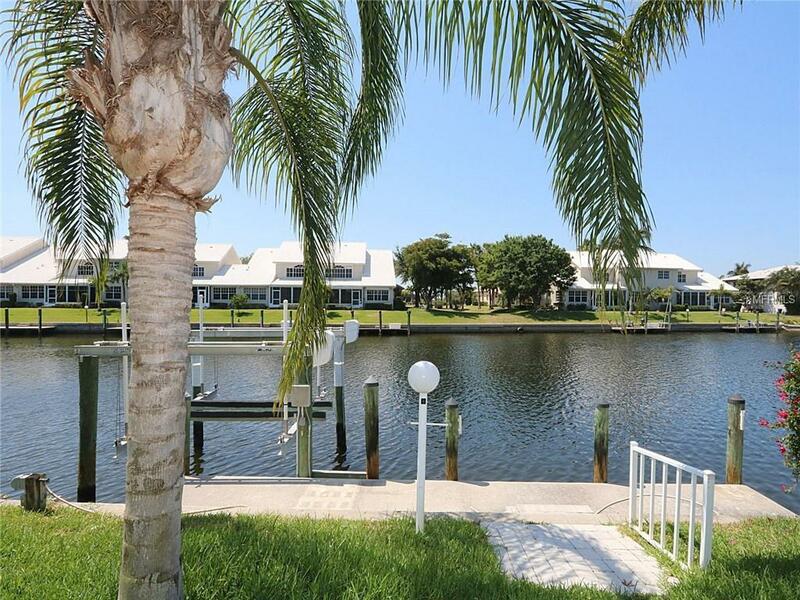 Dock is located on left side of tip lot to allow unobstructed view of intersecting canals. 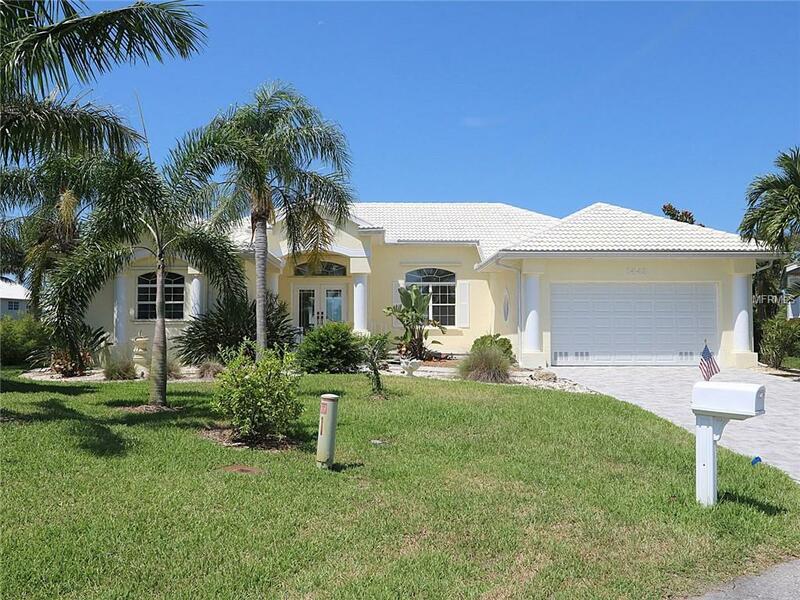 Other features include attached 2-car garage, hurricane protection & tropical landscaping surrounding the home.